As the world catches up to the trend of cold brewing coffee to extract the best favours from the beans. The team at Onyx have been plying their trade for almost a decade, beginning with an opportunity to create Australia’s first coffee Liqueur. Onyx's foray into the spirit world was ignited when they were approached to produce a coffee liqueur. Loving a challenge, they set out to not only create one, but to show the competition they meant business. That original liqueur went on to win the first Gold Medal by an Australian distiller at the critically acclaimed International Wine and Spirit Awards. Fast forward through to today, with the cold brew and liqueur firmly under the belt, the Onyx coffee lab started pulsing. First with a coffee vodka. Next, a ready to drink espresso martini jar. Then the world’s first shelf-stable cold brew. Now for their latest triumph; an ever-evolving espresso martini nitro keg system. Onyx Coffee Spirits is proudly born and brewed on the Central Coast, NSW. The guys at Onyx are dedicated to producing premium coffee spirits flavours, housing their coffee brewery and distillery under one roof. By leading the coffee cocktail revolution, pushing innovation and having a bit of fun at the same time, they are dedicated to delivering the best coffee spirits products to Australia and beyond. Chill, shake and drink a quality cocktail straight from the jar. A modern Espresso Martini for those on the go. Expertly made with copper pot distilled vodka and our award winning cold brew coffee – Onyx Coffee Pure. Onyx’s cold brew coffee blend is a perfect union of coffees from South America, Asia and Africa. It is widely appreciated for it’s inherent natural sweetness and rounded cocoa-chocolate flavour profile. Onyx's goal was always to create a ‘real’ coffee flavoured liqueur. The technical term is a specialty coffee, coffee liqueur. 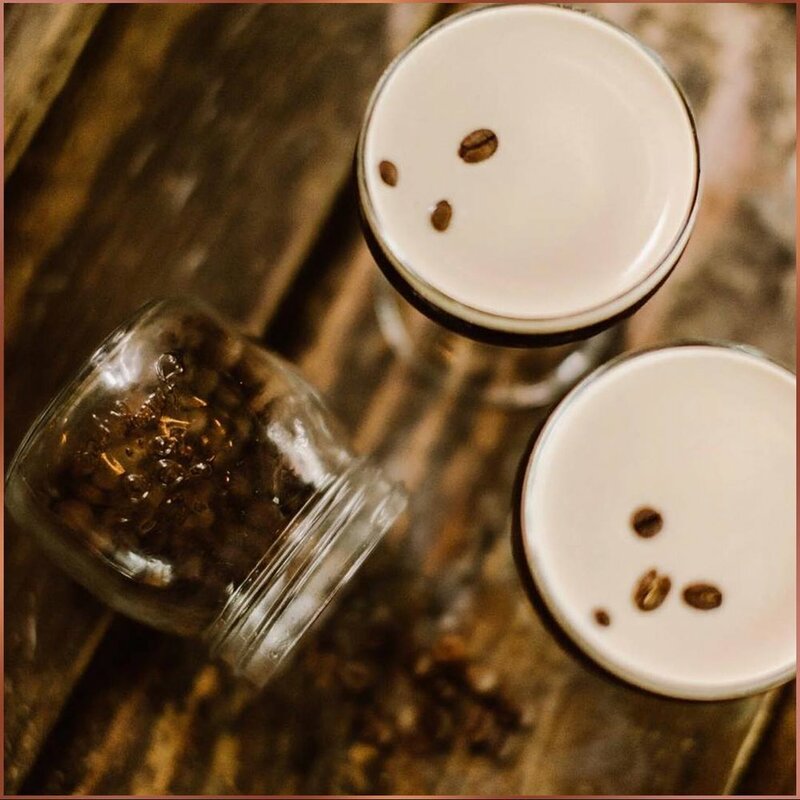 Coffee Liqueur is the epitome of the marriage between Onyx's coffee brewery and distillery providing a decadent experience for both an indulgent home drinker and our seasoned bartender. Onyx Coffee Liqueur is an expertly crafted and internationally award winning coffee spirit. It is fashioned using the Onyx specialty cold brew coffee blend; a well-kept secret that is a perfect union of coffees from South America, Asia and Africa. Onyx don’t use additives and essences to create the flavour! Winner of the Silver Outstanding Medal, London International Wine & Spirit Awards, 2015. 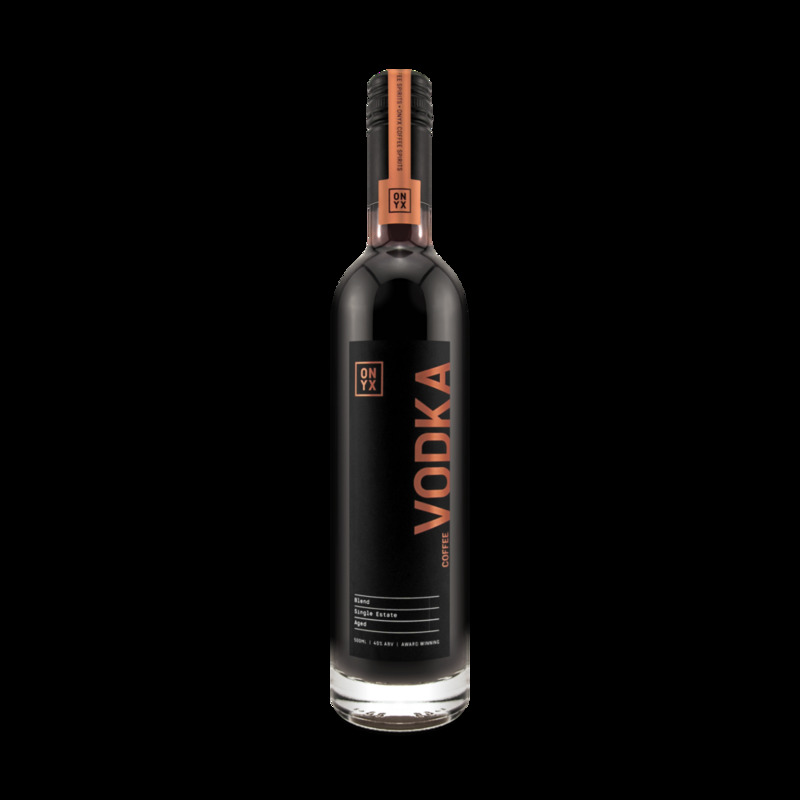 Onyx Coffee Vodka is an internationally award winning and proudly Australian coffee spirit. It is crafted using superior specialty coffee and world class cold brewing techniques, and is a truly marvellous and distinct coffee experience. Soft mocha aromas leave you unprepared for the massive initial hit of coffee flavours on the palate, which is eventually soothed by the line of sweetness in the background, but the coffee hit lingers and lingers, with good clean spirit too. The world's first Shelf-stable coffee. The shelf stable little brother of our award-winning Onyx Coffee Pure cold brew coffee; Spiked is made with a subtle base spirit, allowing Onyx's premium coffee flavour to shine. 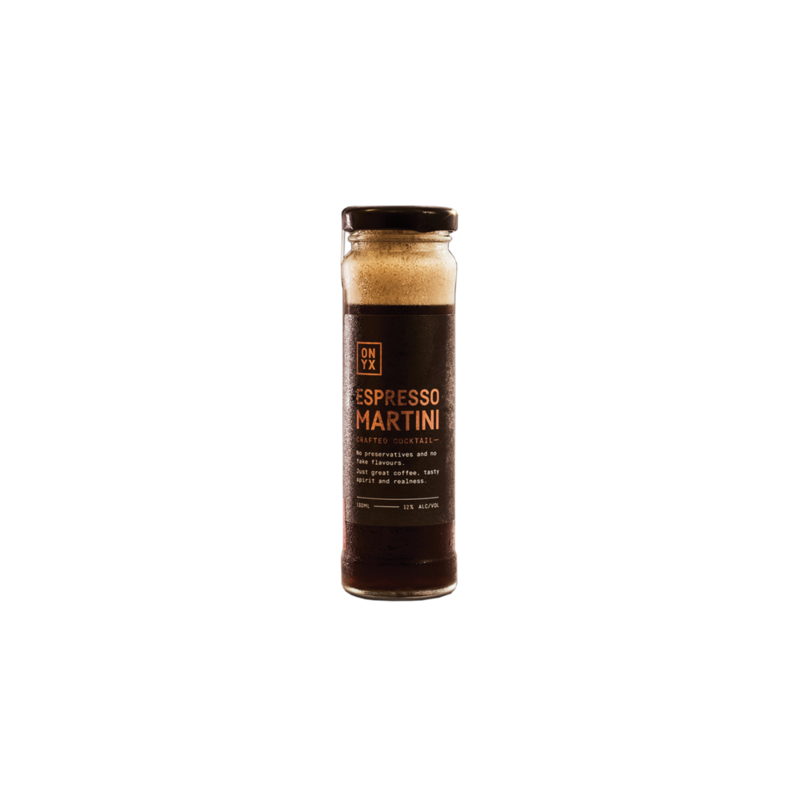 15 shots of the purest cold brew, with no added preservatives or additives will have you shaking the best Espresso Martinis in town. Pours a perfect Espresso Martini straight from the tap. Ready to be installed at your venue!